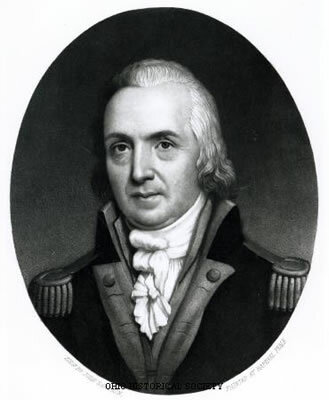 In 1790, Josiah Harmar, commander of the American army in the Northwest Territory, was stationed at Fort Washington (present-day Cincinnati). Henry Knox, the Secretary of War, ordered Harmar to end the threat of Indian attack in western Ohio. Harmar marched from Fort Washington with 320 regular soldiers and roughly 1,100 militiamen -- primarily from Pennsylvania and Kentucky. The militiamen were poorly trained. Many did not know how to load and fire a musket; several others did not even have a gun. Harmar was determined to destroy the native villages near modern-day Fort Wayne, Indiana. He intended to attack the Miami Indians, the Shawnee Indians, and the Delaware Indians, along with other natives located in western Ohio.